Service Area | Delta-Montrose Electric Assn. 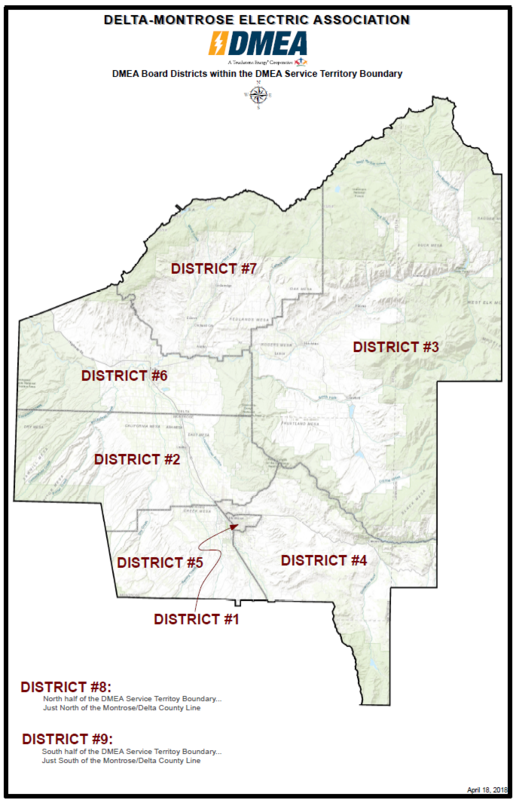 DMEA serves approximately 33,000 meters and 28,000 members in southwest Colorado. We provide affordable, reliable, and safe electric service to members living and working in Montrose and Delta counties. We also provide electric service to a small portion of Gunnison County.